Disability is unpredictable and can happen to any person, at any age. Millions of Americans live with disabilities that are the result of a sudden traumatic event or onset of a serious medical condition. Social Security disability benefits protect you against the unexpected. When you know about the services we provide, you’ll make better decisions when life throws you a curve. Our disability program provides financial support to disabled individuals and their families in times of need. If you think you have a qualifying disability, don’t wait, apply right away. Social Security pays disability benefits to people with a severe medical condition expected to last at least one year or result in death. This condition must prevent you from performing substantial work. Social Security does not give benefits to people with partial disability or short-term disability, like veteran’s benefits and workers’ compensation do. You must also meet the earnings requirement for disability benefits. When you apply for disability, we will need medical and other information from you. We can help you get this information together. You can also have a representative help you gather and submit this information. This representative may be an attorney or other qualified person. You can get more information about applying for our disability programs at our website. If you click on “Apply for Benefits,” you can then follow a link to get a Disability Starter Kit. This kit will help you get ready for your disability interview or online application. Once you have your information together, you can apply for disability benefits online. Knowing this information can help you make the best decision for you and your family, if life throws the unexpected at you. This entry was posted in Disability and tagged apply for benefits, apply online, Disability, disability benefits, disability starter kit, earnings, partial disability, representative payee, sga, short-term disability, Social Security benefits by Jim Borland, Assistant Deputy Commissioner, Communications. Bookmark the permalink. Its ridiculous how long it takes to get a hearing. Why is it that the govt does not have a list of qualifying disabilities, and a rule that every applicant be approved or denied within 30 days? Why does it take around 2 years or more to be approved? The lawyers who take on the cases of those who are automatically denied benefits get varying amounts, I am guessing 35% of the total “award” as an example. A percentage of years of benefits taken from the poorest and weakest is a nice sum, for those who like to “help” that way. And don’t forget that someone with a physical illness, such as neurofibromatosis, will be sent to a psych expert waiting for his own guaranteed income from the court system. there is a set amount the lawyer can get for filing for you. Hi Janice. Social Security assumes than an attorney or an appointed representative will charge a fee when representing a claimant, unless the fee is waived. Under current law, when the Court issues a favorable decision, we withhold (up to) 25 percent of the claimant’s AND the claimant’s auxiliaries past-due benefits. Hi Teresa Marie. When it comes to qualifying for disability benefits under the Social Security Disability Income (SSDI) program, individuals must have worked long enough–and recently enough–under Social Security to qualify for disability benefits. Generally, you need 40 credits, 20 of which you have to earn within the last 10 years before you become disabled. The credits you earned in the past, will remain on your Social Security record even if you had no earnings for a while. Actually, individuals receiving benefits under the Supplemental Security Income (SSI) who are insured and qualify for their own retirement benefit, are required to apply for those benefits at age 62. We hope your SSI case is resolved soon. If you can, get someone from your county Human Services to help you. I believe they are in the Social Services Department. They do not charge you and they are considered to be advocates or counselors rather than an attorney. I actually did more than mine but he may have had a lot of cases. Good luck. many people say filing online is easier and faster to be approved . several people have done it this way and was approved. If you apply for disability and get approved, SSA will pay you the missing months you didnt get paid by your employer or at the start of the application process. SSDI/SSI will only pay you from the date you applied for benefits. Disability benefits for workers and widows usually cannot begin for 5 months after the established onset of the disability. Therefore, Social Security disability benefits (SSDI) will be paid for the sixth full month after the date the disability began. The 5-month waiting period does not apply to individuals filing as children of workers. 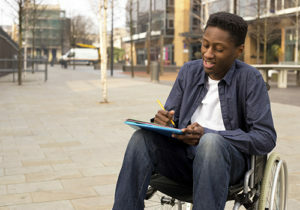 Under the Supplemental Security Income or SSI, disability payments may begin as early as the first full month after the individual applied or became eligible for SSI. We hope this information helps! Are you sure on this one? If so, PLEASE give me the details as we have been approved for Disability Social Security but are required to wait 5 months, receiving the first check 6 months later. Nothing in the way of retroactive payments nor money from the employer. Please do tell! Hi Bela. You may find our listing of impairments useful. In regards to the attorney’s fees, Social Security assumes than an attorney or an appointed representative will charge a fee when representing a claimant, unless the fee is waived. Under current law, when the Court issues a favorable decision, we withhold (up to) 25 percent of the claimant’s AND the claimant’s auxiliaries past-due benefits. Thanks! Agree that it takes way to long. I have been told they deny it intentionally so you do get an attorney! The system is not working as it should. The Hearing backlog is directly related to the budget. If Congress reduces the budget, or refuses to keep current with rising expenses, attrition kicks in and instead of replacing a lost judge the position is eliminated. While Congress is able to borrow above income, the agency is not. They must spend within what Congress provides. These reductions have been going on for most of the last 36 years, and yet the American public will often blame the agency rather than protest to Congress or change voting patterns. You paid your whole working life for the service, yet Congress holds back the funds. Currently Congress has promised a continuing resolution rather than a true budget for 2017 pending the fall elections. However, they are looking to cut again rather than use 2016 funding levels for the CR. This will make service even harder to obtain. If their are no negative consequences, why should Congress change their behavior? So then we need to be our own lobby? I will happily do that , okay people who read this let’s speak up once and for all, before all our money is gone!!! Im sorry sir, yoyr incorrect, the delay is due to a massive workload, and minimum numb er of state employees. Nevada is an excellent example of this, as well as policies that are being blatantly ignored despite ample records that qualify apllicants. Could this be due to the past history of allowing fraudalent claims to be approved with little or no legitimate qualifications? There is a lost of disabilities for Adults and Children on Social Security’s website. The main reason it takes so long to get a decision on a claim is due to the number of claims that are filed. You have more and more people filing because many are being told by their doctors or relatives that they need to file. This has caused a huge backlog of claims. What does told by their doctors to apply? Are you saying they are not deserving of this? If that is the prob lem then for heavens sake FIX IT. Is online easier and faster ? Several people have told me it was . Can anyone apply or just people who have worked and contributed to Social Security? Who pays for Social Security disability? I need an answer from someone who knows for sure what the correct answer is. as far as i know anyone can if your disabled and have proof your check may not be much but it’s something you didn’t have before and you can eat at least and get a roof over your head with help if you don’t have have a place or food . Does that mean if you are 73 on social security and working part time, if you are told for example by the doctor you can no longer drive…can you apply then? Anyone can apply. SS will only approve those who meet the earnings test and have a disability that results in a condition that will last at least a year or result in death. You must be unable to perform substantial work in anything that is within your ability. Under the Social Security disability law, there 2 benefits: Social security Disability Insurance (SSDI) benefits and Supplemental Security Income. (SSI). For SSDI you must have paid into the system for a set # of years , the exact number of paid years depends on age. The amount paid into the system (FICA) will determine the amount of the monthly benefit. For SSI there is no requirement to have paid into the system. Hope this clarifies. Milan, I guess I don’t understand what Supplemental Security Income is and why anyone would get it? Can you give an example of a reason why a person could get SSI? SSI is for persons who have 0 or less than 10 years paid into the system and have become disabled w/in SSA guidelines and have low income. SSI is also given to U.S. citizens who are indecent or low income, age 65 and have never paid into SS. Amount is currently at $350 per month. SSI essentially covers US citizens who haven’t paid into the program. I meant “indigent” and not “indecent.” Hard typing on phone. The Supplemental Security Income or SSI pays benefits based on financial need. It is designed to help aged, blind, and disabled people, who have little or no income. Social Security Disability Insurance (SSDI) pays benefits to you and certain members of your family if you are “insured“, meaning that you worked long enough and paid Social Security taxes. We also pay disability benefits through the Supplemental Security Income (SSI) program. The SSI program is a Federal-income supplement program funded by general tax revenues (not Social Security taxes). It is designed to help aged, blind, and disabled people, who have little or no income. So you would help some one who wants to drive at 73 but has a medical reason he can’t? If his SS is not enough to live on? Thank you for your question Susan. Social Security Disability Insurance (SSDI) pays benefits to you and certain members of your family if you are “insured“, meaning that you worked long enough and paid Social Security taxes. We also pay disability benefits through the Supplemental Security Income (SSI) program. The SSI program is a Federal-income supplement program funded by general tax revenues (not Social Security taxes). It is designed to help aged, blind, and disabled people, who have little or no income. If you think you have a qualifying disability, don’t wait, apply right away. I became disabled literally over night in April 2012. I had worked through cancer treatments, radiation had set off 9 Autoimmune Diseases and finally 3 years later my hips went and I had major hip replacement. I was 55 at the time and had been paying into SS since the age of 12.9 yrs so I worked 42 years paying into SS. I worked in the same field for 33 years and was blessed making way over 6 figures a year. I was devastated having to go on SS Disability. Some of us don’t want to take it. Even though my SSD is about the max it’s about a 3rd of what I’m use to bring home. At 59 I worked with SS Return to Work Ticket Program which I highly recommend for people like me who don’t want to just sit at home and do nothing. I can never do what I did before in the corporate world and I’ve had 3 different positions the past year. I tried but due to my disabilities I can not work 40 hrs a week and I had opportunities to work jobs makes nag over 6 figures. SS RTWT program gave me 9 months to make as much money as I wanted without affecting my SS D benefits. I realized I just couldn’t do it but didn’t want to just exist. I now work 15 hours a week at not more then min wage and within the limits I’m allowed to make without affecting my SSD benifits. But I chose to contribute to life. It’s depressing going from working your entire life to sitting looking at 4 walls. SS was great! They have so many resources to assist you but you have to call them, search for them. I fought to go back to my former job but after a year out I had to leave. My surgeries took 2 years to be able to walk again. I worked for one of the top 10 companies in the US and after being out a year they told me I need to apply for SSD. I hired an attorney. He charged $6k which apparently is the standard fee. If you don’t get approved the attorney doesn’t get paid. I was approved in 3 months. My attorney took care of everything. All doctors and medical reports. SS went back almost 2 years to the date of the surgeries that resulted in me never being able to perform the job I had done for 33 years. I received a large sum. My LT Disability company got back the difference in overpayment those 2 years and my attorney took his fee of $6k out of my award. I still ended up with $24k. But the entire process was quick, painless and worth every bit of the $6k. Attorneys specializing in SS know what to do, and if I had attempted to do it on my own? No way. All I had to do was sign a contract and release of medical records. He took care of everything. I was approved almost immediately. Almost 60 now but I will continue working part time within the guidelines as long as I can. I wished and tried to be independent from SSD for those 9 months and it took me that long to finally realize I am truly disabled and unable to go back into my former field but even at $10 an hour, my former hourly rate was $78 an half ur before I became disabled but I feel better mentally contributing to society in some way. Maybe the Return to Work Ticket isn’t for everyone but I no longer feel depressed. But SS has so many programs and employers they work with and trading available for those of us needing to be retrained to go back into the work force. You just have to check and ask questions I highly recommend an attorney. I posted one other time about when i became disabled it was there for me i was 45 years old i have sense tried to go back to work and would in honeslty go back to work but can’t and even tired a few times at after i became disabled no one know excatly what is like losing so much money a month etc because of being disabled till it happen then the are DR bills they even medicare won’t cover and should like dental etc .but no complaints i still have a income , now sister is disabled at 55 and having a really hard time getting SS she wirked most of her life the if it wasn’t for the affordable health act she would also have DR bills she could not pay due to a major back operation she has a year ago and two month ago one knee was operated on and the other knee has to be replaced she has other health issues that are covered under the act .. but I honestly can say it was there for me , i all ways paid my taxes etc . i do hope my sister gets her soon it taking a big toll on our house hold three living on two incomes . you learn to but it hard and some have it worst. Were the operations your sister got neccesary before the AFFORD CARE ACT was available? Pre-existing in other words? I was told any occurences that required surgery or other procedures/care before Obama Care existed wiuldnt be covered. Takes too long and people suffer without food because the employees just shoot out form letters delaying benefits. Why would anyone go to the extremes after working their entire life even bother to apply? They must have quotas they must achieve because the reject more then they approve. Someone needs to overhaul this system to make it timely instead of dragging their feet just to make an excuse to deny, deny and deny. They have a fix with attorneys At least it seems that way) because as soon as an attorney is hired snd gets 1/3 of YOUR benefit is just wrong. Your post is so full of incorrect information, one does not know where to begin. Form letters, quotas, dragging their feet? Get real. John, that is probably how she feels even if it not the entire truth. Social security does not treat people fairly, well, I guess I should say the DDS office don’t treat people right. Hi Molly. Social Security assumes than an attorney or an appointed representative will charge a fee when representing a claimant, unless the fee is waived. Under current law, when the Court issues a favorable decision, we withhold (up to) 25 percent of the claimant’s AND the claimant’s auxiliaries past-due benefits. A fee agreement, also limits how much of a claimant’s past-due benefits an attorney can collect: No more than 25% of your past-due benefits and that includes any children in your account, but only up to a maximum of $6,000. We hope this information helps. I have been denied my disability since 2008 by the out of control lies and manipulation of this alj must end I beg the administration to investigate all of the claims filed since 2003 in my behave that have been lost in the system totally forgotten . You may need to file a discrimination complaint. If denied SSDI and poor, file for SSI. William, are you speaking of the same ALJ in which I was speaking of, Ronald Feibus? If so, you should file complaints like I did. Perhaps if they receive continuous complaints regarding him and his behavior, they will finally do something! I noticed not one person from SS had the decency to acknowledge me. That is what they do, just keep letting him get away with what he does!!! God is always watching, and He is my judge! If someone who has been in the military, in combat, retired from the military after 21 plus years, worked for two non-profit Veterans Organizations, then finally working with the County Government Agency, then retired after 16 year’s total. Now substantially disabled since retired from the County. Just receiving SSA. Had filed previously for SSD, but was denied because didn’t finish getting the right medical information to SSA. Can that individual refile again with his current medical information? Is there a time line for refilling again or for appealing the first denied claim? Who can I talk to about this case. This individual has been totally disabled since the last 6 years and is still disabled. If you are within the appeal deadline, appeal it. No time limit but a claim could be denied res adjudicata. No agency or court will keep on hearing a claim over and over if all the current issues have been previously decided. One has to be currently insured and have a disability that falls withing that period. It sounds as id that person has a limited work history or maybe has reached full retirement age and disability would not apply. You can’t talk to anyone about someone else’s claim unless SSA has their permission properly executed. James, you can refille, but you may lose some money because an application is retroactive for only 12 months. If you are within 60 days of your last denial you can appeal. Under some very strict circumstances you can appeal even if you’ve missed the 60 day deadline. Hope this helps. Hi James. An appeal must be requested within 60 days from the date the notice of denial is received in the mail. The claimant should visit the local Social Security office to confirm the status of his or her initial claim. Or call our toll-free number at 1-800-772-1213. Representatives are available Monday through Friday, between 7 a.m. and 7 p.m. Our representatives should be able to provide him or her with the information needed, and direct him or her to file an appeal or to file a new claim. For more information on the appeals process, please read our Appeal Processing publication. I am very disappointed in the disability process and system. They say the benefits are there for you at any age, but that’s a lie. If you are disabled well before the age of 50, you get denied pretty much because of your age because they will conjour up some job out of a severely outdated database to say you can do and it doesn’t matter if those jobs are not in your area or if those jobs have any openings in your area. Can you really expect a person to pack up and move to that area of the economy where it’s supposedly numerous jobs? Really? Oh, let’s not get started on their contracted state DDS office in how they treat people and the personal and bias comments they make in your file about you. I have had a compromised medical health record and I’m sure you all have too where every doctor you go to do not actually notate or touch each and every part of your health record for each visit which means if you are in pain or have had weight loss due to illness and they don’t specifically notate in your physical examination and review of systems, etc dds will deny that you have a problem because they count on those indescrepancies against you. I brought that issue up to them but they try to use it against me. Check your medical records or have someone look over them and don’t leave it to the attorney because they don’t look that close either. I assure you they are looking for any indescrepancies they can find to deny and discredit you. It’s straight harassment! These are the facts and are already being looked into. Thank you! True it is very hard to get Ssa I was 42 yes old tried to work but know way. I applied 3 ttimes. I was turned down. I got an attorney, he told me I would get my SSA. I got it in 2 years. Had to wait 2 years after for Medicare, but I worked and paid for it. Thank God I received it each month. I don’t understand why you have to have an attorney to get something that you work for, but that is our system. Why does it take up to 2 years and 3 or more attempts yo recieve benefits? I believe, in some cases, it depends on the disability. If there are medical issues that have been know to be cured or maybe improve a condition within 2 years, they may put the disability on hold to make sure that everything is going to continue. The SS office I worked with did so over the phone and taped our 3-way conversation (with the disability attorney I had hired). Before anything was even started, the attorney made sure that all of my disabilities were covered in medical records, given a code for the disability, and documented by a physician or specialist. They have their own board of physicians that can look over the records (at least that’s what I was told) as well and compare that to previous “success” stories. The only regret I had was not discussing the fee I was charged. Most of them state that you can disagree with the final total. I sent for all of my records that they had on me, and there was nothing different – no notes or anything – that I had not already given them. It is good to ask the attorney, if you get one, to show you that he/she did the $6,000 of work. I received mine 3 months from date filed and it did go back to when I had been out of work and then Medicare I had to wait a year for. It’s frustrating, yes, but if you do everything you are suppose to do, it should be easier all around. Have you taken a look around the ssd office and see what is working there? If so you know why it takes so long. SSD has to hire them but you cant get them to work and can’t fire them. I’m 100% disabled from my service in the military.Why am I turned down for SSD? I’m 57, worked all my life. Why don’t SSA @ VA work together. Both in the gov. Hi Ron. First of all, we want to thank you for your service to our country. Please keep in mind that the Social Security Act sets out a very strict definition of disability, much different from the requirements for other government programs including veterans’ benefits. Social Security pays only for total disability. No benefits are payable for partial disability or short-term disability. Disability benefits are paid to people who are unable to work because of a medical condition that is expected to last one year or more or to end in death. What if you own your house before you get disibility and decide to sell will they take your disibility? Thanks for contacting us Angela. The selling of your house will not affect your “regular” disability benefits (SSDI), but it can affect the disability benefits you receive under the Supplemental Security Income or SSI program. This is because SSI benefits pays benefits based on financial need, and the limit countable resources for an individual is $2,000 ($3,000 for a couple). See our SSI Income and Resources web page for more information. I’ve applied 13 separate times IN north Carolina. That’s beyond sad. I’d be dead and gone, never to obtain any stability, before I parish. I’m now in Georgia trying my damnest, .. my little poor mind, body & soul are at it’s last brink of faith. “Social Security pays disability benefits to people with a severe medical condition expected to last at least one year or result in death. This condition must prevent you from performing substantial work” (WOW, what an absolute and total LIE). I have been physically and totally disabled my entire life, SINCE BIRTH and the corrupt SOCIALIST SECURITY SYSTEM has NEVER paid me ONE PENNY! because I married an “able bodied person”, they have a special rule that the SS system uses to justify their discrimination of my choice in who to marry. This idiotic “rule” is based on the words “who is unmarried” in the “adult disabled child” section of the Socialist Security rules. I will continue to speak out against this system for as long as I live. My voice will NEVER BE SILENCED, EVER! If you are a physically disabled person (an adult disabled child) and you happen to marry an “able bodied person” you will be loosing out on a lifetime of benefits, all because of a one word “rule” that prohibits you from marrying an “able bodied person”. Best of all, they never tell you about their “Rule” so that they can justify cutting off any benefits that you may be due. NOT ALLOWED TO MARRY! It is a discriminatory act “rule” and should be ILLEGAL! Even though I am permanently and totally disabled, if I marry an “able bodied person”, somehow that marriage makes everything ok and I am no longer considered disabled (in the eyes of the socialist security system). Magically (because I married an able bodied person), the pixie fairies come down and cure my disability, because now I can just go out and find gainful employment, no one will discriminate against my physical disability and everything will be grand, right? Somehow magically, marrying an able bodied person makes my physical disablility dissappear and now I am cured, right? WRONG! The issue is a special “Rule” that the Socialist Security System uses to discriminate against “certain” people. If you are a “physically disabled person” (AKA-certain people) and happen to marry an able bodied person, then the SOCIALIST SECURITY system will use special “Rules” to legally discriminate against you and deny you benefits, even if you appeal online. The SOCIALIST SECURITY system has caused me a lot of economic hardship all because I married an able bodied person. The SOCIALIST SECURITY system thinks someone who is physically disabled (permanently and totally disabled) marries an “able bodied person”, that somehow magically they are cured of their physical disability and two people can survive off the able bodied persons income. WOW, talk about a bunch of bureaucratic idiotic thinking, that somehow this would not cause a financial hardship….. amazing. The rules that the Social Security Administration uses to legally discriminate against persons who are “Adult Disabled Children” who happen to marry an able bodied person, are discriminatory. This is loosely referred to as the “marriage penalty” but I call it exactly what it is, a legal form of discrimination. Please write your Congressional Representative and tell them to end this modern day form of Legal Discrimination. In this day of fairness and equality, there are still some people suffering from an outdated and oppressive bureaucratic rule. (PS. notice how the only thing any of these SOCIALIST SECURITY workers ever say are quotes of the rules or processes, like a worker drone. They are unable to address any topics that fall outside of their rule books). Typical bureaucracy and bureaucratic responses, like trying to argue over lost change with a vending machine! Tammy, you post this same exact rant on every thread, so I know you have read at least one well written response to your complaint. Let me begin by saying that I am very sorry that you are havi,g a difficult time right now. That’s a shame, and nobody should have to go through it….that said, it does happen though. My sympathies to you and your family. Now to the point. You said that you were an adult disabled child. That means that you were never drawing from ssa, your parents were getting money through their ssa to care for you. You were financially dependant on them for your care. Now, when you got married, the burden of care switched from them to your spouse. Since he is able bodied (able to work/ not disabled) he is not eligible for ssa at this time. Hence the denial. This may sound harsh, but the blame here rests on you. Getting married absolutely changes everything. The burden was on you to check into whether or not this would affect the ssa payments, BEFORE you got married. You made a costly choice, but it was YOUR CHOICE! There is no discrimination there, just the letter of the very clearly stated law. They are not in the business of telling you who to marry or not. That is your decision, now you have to live with the changes that choice has brought to your life. You got married, then they stopped paying your PARENTS for your care. Or do you think that your folks should get $ from ssa to support their married daughter and her able bodied husband? That would be fraud. Iknow plenty of people who were disabled since childhood& married a nondisabled person & didnt lose their benfits. So stop spreading lies about that. Children earn benifits thru their parents earnings. You cant get ssdi unless you have paid into the system. most of people living with disability in this world have challenges in their daily living life, because their families don’t recognize them to be important in the communities, these people if they are not mentally disturbed, if well supported cared for, can be good people for the production of the economy development in the world. In southern region of the world this is very common most of them are neglected by their own parents and die because their relatives thinks they are shameful people to live in the society. Very few families have taken care of their beloved one living with disabilities. In southern region Zambia people feel it is a taboo to have such people in the family and these people are not exposed to the society from the age of 1 day to years. Disability can come at any time one doesn’t expect, some can be born well and finishes school well later one is involved in an accident. I have been charged medicare premium since january this year and dshs has paid my pemium since febuary. Social security is collecting it twice i have called the 18007721213 once in april and once again in Aug no changes no refunds to me. I have called dshs several times to be clear thast they are paying it for me. What more can i do? I really need that $120. To live. Hello Andrea. We regret to hear of this problem. If the state has stopped paying for your Medicare B premiums, it will be deducted directly from your monthly benefits. You will need to work with your state, county or local medical assistance office directly to have them resume the payments. If this is not the case, then, we suggest working with your local Social Security office for coordination between the two agencies. In addition, anyone who has Medicare can get Medicare prescription drug coverage. There is Extra Help available to help pay for the costs, such as monthly premiums, deductibles and co-payments. You can apply for the Extra Help online at Extra Help With Medicare Prescription Drug Plan Costs. Hope this helps. When a spouse on SSDI passes and is under 50 years of age, is his wife who is also 50 entitled to any benefit if she herself is not disabled? My husband was diagnosed with early onset dementia. He is 57. He paid into SS since he was 15 until he started his own business about 18 years ago. We were told by a SSDI lawyer that if he had not paid in within the last 10 years he would not be qualified to receive SSDI. Is this true? According to the SS Site he has disability money available to him. On State Disability for the last year ending this past June. Now only income Social Security. Still very difficult to walk and much pain each day. Difficult to maintain household chores. I had the day before. Details can be obtained by Dr. Litiana Cohen. As that ankle is my most severely damaged and painful. If someone is reported as being able to work while receiving SSDI and they go in front of the court and it is found that they in fact cannot work, what happens? I know someone who this happened to and their benefits stopped for 2 months. Will they get those 2 months paid back to them. Please visit our Retirement Planner: If You Are Divorced, then check out our publication, “What Every Woman Should Know” for more important information. Hi, I was granted social security disability because of bi-lateral shoulder injuries, bi-lateral carpel tunnel, and a heart problem in December 2012. I was 59 years old at the time. I need help around the house. Is my wife able to collect any ssa money since I can’t work and need help? my age is 62 she is 57. Hi Michael, your wife may be able to get spouse’s benefits on your record, when she is at least 62 years of age and as long as you are receiving retirement or disability benefits. You may be eligible to receive additional assistance from the state where you live. These services include Medicaid, free meals, housekeeping help, transportation or help with other problems. You can get information about services in your area from your state or local social services office. You can also visit the U. S. Department of Health and Human Services (HHS) web page for more information. We hope this information helps. Good â€“ I should certainly pronounce, impressed with your web site. I had no trouble navigating through all the tabs as well as related information ended up being truly easy to do to access. I recently found what I hoped for before you know it at all. Reasonably unusual. Is likely to appreciate it for those who add forums or something, web site theme . a tones way for your client to comitnmcaue. Excellent task. THESE ARE DIRTY CHECKS, RUINED MY LIFE. Protection Against the UnexpectedThe IPERS Plan provides important protection for members and their families when a member is injured or becomes ill.
All of my medical records was turned in and I was told I had to wait a couple of weeks to get a medical update before approval while my disability is listed in the blue book why the extra two weeks? will my disability benefits discontinue when my husband recieves his social security benefits? If you’re receiving “regular” Social Security disability benefits (SSDI) your benefits will not be affected. On the other hand, if you’re receiving disability benefits under the Supplemental Security Income or SSI program, your husband’s Social Security benefits may affect the amount of your SSI benefit. This is because the amount of SSI benefit is based, in part, on the income and resources available to the individual receiving SSI benefits and the income and resources of his or her spouse. Please call our toll free number at 1-800-772-1213 and speak to one of our agents for further assistance. Representatives are available Monday through Friday, between 7 a.m. and 7 p.m. Thanks! It’s great to have this system, but why the hell can’t I get benefits from a system I paid into? I had brain surgery in 2016, had to appeal and go to court, everyone in the courtroom agreed (including the vocational expert hired by the government) that my condition was significantly debilitating and limited my job options essentially to zero because of that, and was just denied, citing doctors I’ve never even heard of and making claims that directly contradict the statements made in court both by myself and by government-assigned agents. Why can the government lie about my case? Why am I being denied a benefit that I paid for when I need it? Why does someone with moderate back pain get benefits, but someone like myself, who has hemiparesis, nerve damage, and requires still more surgery to even have a chance at regaining things like full function of my hands is denied? went to ss office in my area 5-15-18 wanting to know if my wife qualified for disability benifits. the agent said that because she is 67yrs.age .she does not qualifie .my wife got a life changing event. she got diagnosed with acute lymphoblastic leukemia and other complications.lost her job .has been in and out of hospital since january 2018 I guess people over age 67 don’t get disable or have life changing events. I have money taken out of my SSD for money owed I want to know when I will get my full benefits back. Unfortunately, and because of security reasons we do not have access to personal records in this blog and cannot answer your question at this time. One of our representatives should be able to provide you with an explanation. Please call our toll free number at 1-800-772-1213 for assistance. Representatives are available Monday through Friday, between 7 a.m. and 7 p.m. Generally, you will have a shorter wait time if you call later during the day or later in the week. Thanks. i have been disabled since 2013. i have lawyer as well. i have worked for 25 years for yes i admit the wrong jobs for my family. now its time for me to ask my government to keep me from making hasty decisions. i need the help of MY government to help ME. where are YOU!! I’m almost 64 and I have been drawing my SS since 2/2018. I had medical insurance through my husbands employment but is being layoff for medical reasons. Liver Transplant. Can I apply for my Medicare? How do I add my name on my wife’s SSI disability so I can speak on her behalf? Hello James. If your wife has trouble managing her Social Security benefits or trouble communicating with us, you may be interested in applying to become your wife’s Representative Payee. A face-to-face interview is required and you must apply for and be appointed as a representative payee by SSA. If approved to serve as your wife’s representative payee, it will make it easier for you in the future to update account information for her. It would be helpful to obtain a statement from her doctor. The statement should say that your wife is not able -mentally or physically- to take care of herself and that you are the person responsible to keep her finances in order. We understand how inconvenient this may be for you, but we hope you understand our role in protecting everyone’s personal information. Please read our publication: A Guide For Representative Payees. If you have specific questions, or to make an appointment, please call 1-800-772-1213, Monday through Friday, between 7 a.m. and 7 p.m. to speak to one of our representatives. Or you can contact your local Social Security office directly. Hi Kristina. Please contact your bank or financial institution first. They may be able to determine if your direct deposit failed. If you still need to report a late, missing or stolen Social Security payment, call us toll-free at 1-800-772-1213. Representatives are available Monday through Friday, between 7 a.m. and 7 p.m. or contact your local Social Security office. Hi, can i ask question? Is thier additional benifits if retired person become bed ridden? Thank you for your question, Ghie. If a person has reached his or her full retirement age (Currently 66) and is receiving Social Security retirement, they are no longer eligible for disability benefits. If a person is under their full retirement age and they become disabled, they may be able to file for disability benefits. •Call us at 1-800-772-1213 (TTY 1-800-325-0778), Monday through Friday from 7 a.m. to 7 p.m. or contact your local Social Security office. If my fiance is collecting disability thru a work injury, I am working. When we get married does he loose his disability benefits? Hi, Kim. If you and your fiance’ receive retirement or Social Security disability insurance (SSDI) benefits, your marriage will not affect his benefit. If you or your fiance’ are receiving Supplemental Security Income (SSI), widow or widower’s benefits, your marriage may affect his benefit. For specific questions about his account, he can call our toll free number, 1-800-772-1213 (TTY 1-800-325-0778), Monday through Friday between 7:00 a.m. and 7:00 p.m. Generally, he’ll have a shorter wait time if he calls later in the day. He may also find more information about how marriage effects benefits by visiting our Frequently Asked Questions. We hope this helps! it all sounds well and good but in reality… It took over 10 hours, online time, for me to complete the online application and i had little of meds i will be taking the rest of my life. The statement claims to take about an hour to complete. Main reaason it took so long is the large volume of medical documentaton of joint damage in my lumbar, thoracic, and cervical spines. I have 7 or 8 ¨normal¨ segments, i have 8 or 9 disc herniations, there is 21 or 22 segments. Multi level fusions offer a slim chance for temporary relief, but its clear this spine is unlikely to recover. My spine itself has all manner of visible injuries seen on 3 years of lumbar MRIś to be activily worsening despite the best efforts. I see a neurosurgeon about 4 times a year to see if i need to have the fusion done, yet. I intended to work at least another year but can no longer apply any pressure to my left side and my lower lumbar and thoracic spines are intolerant of work life that. I took all the days off allowed within 10 days in an attempt to rest up and heal. As always happens, i did not heal. I worked right up until I coud no longer lift my foot. It took over a day and a half before i could get dressed and go down 3stairs. Did my best, again, to heal again, Then after a month of no improvement, i applied for my very hard earned, modest benefit. The medical documetation, (10 hours more data than the average application), included visualized evidence of joint destruction with marked deformity as well as movement limitaions–to the 2 most weight bearing joints in the body. Also included electro diagnosed neuropathy of left side hip down to toe. the pain starts on the toe and twists itself right up to my ear. As well as documenting several other severe conditions that exceed guidlines for disability. Mainly the presents of chronic BME spreading through the three largest backbones weak unstable structure that creates. claim was denied for medical` reasons. The injuries finally overcame me,i collected my info and appied, much like the exampe. Except the for my last resort, guarnteed, pre purchased, paid for protection was not at all available.